A diverse group of civil society, industry and government representatives convened today at the WHO-led 2nd Fair Pricing Forum in Johannesburg, South Africa, in the quest for new solutions that can unlock people’s access to desperately needed drugs at more affordable prices. 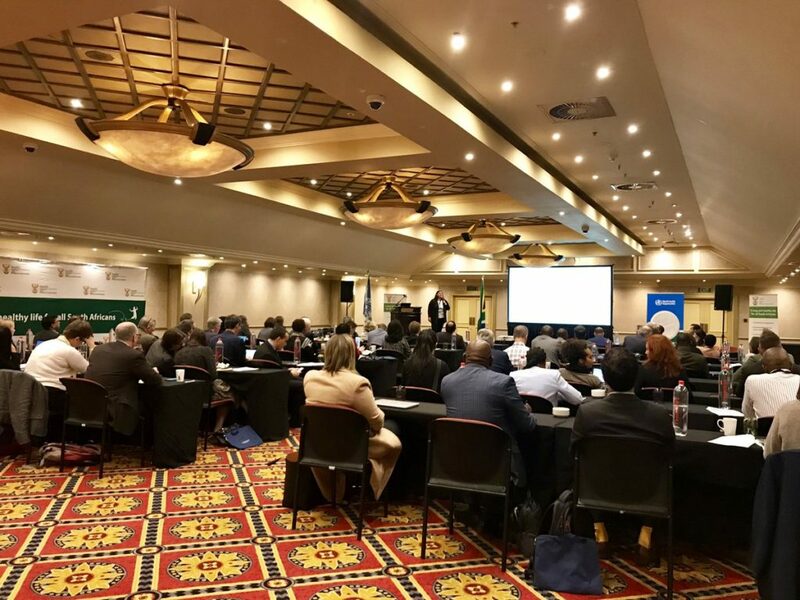 The two-day meeting, co-sponsored with South Africa and involving some 30 countries and 40 industry and nonprofit groups, comes at a time when the debate over drug access has become increasingly polarised. Civil society organizations have become increasingly strident about the need for a major overhaul in the system. They say that the old formulas of voluntary industry concessions coupled with large-scale public- and donor-funded procurement, which helped get billions of people access to vital drugs for HIV/AIDS, TB and malaria a generation ago, is cracking. Demand for treatments for cancers, cardiovascular disease, diabetes, asthma, and other non-communicable diseases is soaring in rich and poor countries alike. There is also an unmet need in low- and middle-income countries for new, life-saving treatments or vaccines for infectious diseases such as pneumonia and Hepatitis C.
These should include “transparency on a global level on the pricing of medicines” he added, as well as a WHO-maintained international database of prices of patented and generic medicines and biosimilars in the private and public sectors of all countries where they are registered. The NGOs said that they would urge countries to line up behind the new Italian government resolution to establish a WHO price database, which is to be tabled at the upcoming World Health Assembly in May. “Transparency is not only a matter of fairness, but also a factor for better governance of pharmaceutical markets. It is also at the core of the resolution proposed by Italy and seconded by a number of countries in the run up to the WHA. Member States have a chance to make a difference by showing support for the resolution, and must not waste it,” said Jaume Vidal of Health Action International (HAI) in a press release. “For every significant reform of incentives, pricing or access, transparency and reliable data is important. The current asymmetry in knowledge of R&D costs, sales, pricing, know-how and access does not serve patients, taxpayers or employers. Transparency is a public good and a challenge that benefits from collective action,” added James Love of Knowledge Ecology International (KEI), another one of the event organisers, in the HAI press release. Advancing the transparency agenda with governments attending at the Pricing Forum will thus be a key objective for MSF, Krikorian added. She said that the time is ripe for change, because rich countries are now grappling with higher drug prices – underlining fundamental flaws in the current system that have beset low- and middle-income countries for many years. “Over the past few years, access to medicine and excessive pricing also became a problem in western countries. In France, for instance, the Social Security system raised the alarm in 2015, noting concerns that the national budget would not be able to accommodate the extreme prices of some of the new life-saving medicines, and ensure access to all,” Krikorian observed. However, industry representatives present at the meeting argue that transparency could boomerang, undermining access to medicines in poorer countries. “For on-patent medicines, increasing transparency of net prices would lead to price convergence, undermining access to medicines in poorer countries by preventing differential pricing,” said a spokesperson for the International Federation of Pharmaceutical Manufacturers and Associations (IFPMA). She referred to a new report by a London-based think tank, Office of Health Economics, that concluded: “The biggest single problem is the possibility that some HICs [high-income countries] and higher income MICs [middle-income countries] will seek to exploit price transparency by insisting on paying the prices offered to poorer population groups” (M.Berdud et al 2019). In terms of proactive solutions to access barriers, voluntary pricing agreements with industry that are mediated by WHO, product development partnerships or civil society, are better options, the spokesperson said. “Medicines Patent Pool is a great example of constructive collaboration when civil society and industry come together to work toward a common goal,” she said, referring to the Geneva-based nonprofit that forged historic agreements with industry on new Hepatitis C drugs while they were still under patent, and is now expanding its approach to other drugs on WHO’s Essential Medicines list. 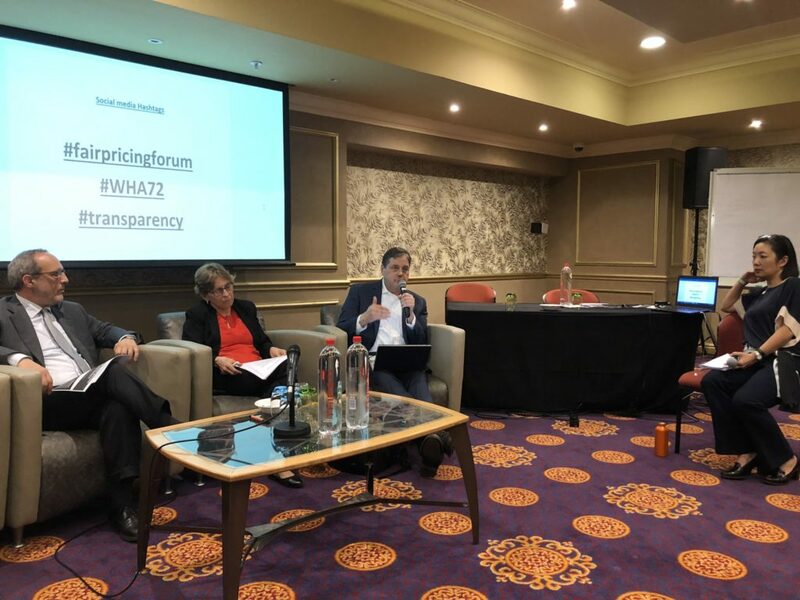 WHO is generally supportive of the principle of price transparency, said Andrew Rintoul, who is the Organization’s lead organizer of the Johannesburg Forum. The Johannesburg Forum, which follows the first Fair Pricing Forum in Amsterdam in 2017, is an example of WHO wielding its convening power to get everyone in the room together to talk about diverse approaches to advance this goal, he noted. He said that the Forum would consider lessons gleaned from the early days of the HIV/AIDS epidemic in the 1990s, when new anti-retroviral drugs were initially unaffordable to millions of people in Africa, Latin America and Asia, but later became widely accessible. Among the Forum speakers, South Africa’s long-time Director General of Health Malebona Precious Matsoso and WHO Assistant Director Mariangela Simao will describe how countries like Brazil and South Africa broke through the access barriers in that period, helping to lead transformational change. “Today, non-communicable diseases are a current big challenge,” Rintoul observed, referring to the drugs for cancer treatment, cardiovascular diseases, diabetes and asthma, which are often unavailable or unaffordable in low- and middle-income countries. “I don’t think we will end up with the big funding mechanisms that we created for HIV, TB and malaria. But in fact, most of the NCD medicines on the WHO Essential Medicines List are now generic. “As for some of the newer cancer medicines, which are biological products, like trastuzumab (Herceptin®), we still don’t have sufficient production of biosimilar medicines on the market. We believe that more production of such biosimilar products will be important in reducing prices,” he said. Biosimilar products are compounds that have a similar health effect, even if they are not biologically identical, and thus function in the marketplace like “generic” brands of chemical drug formulations. One very fundamental issue the Forum also will consider is how “Fair Pricing” may best be defined. Image Credits: Allison Colbert, Yannis Natsis.